Clear Creek is proud to offer a Dual Language Immersion program beginning in 1st grade. 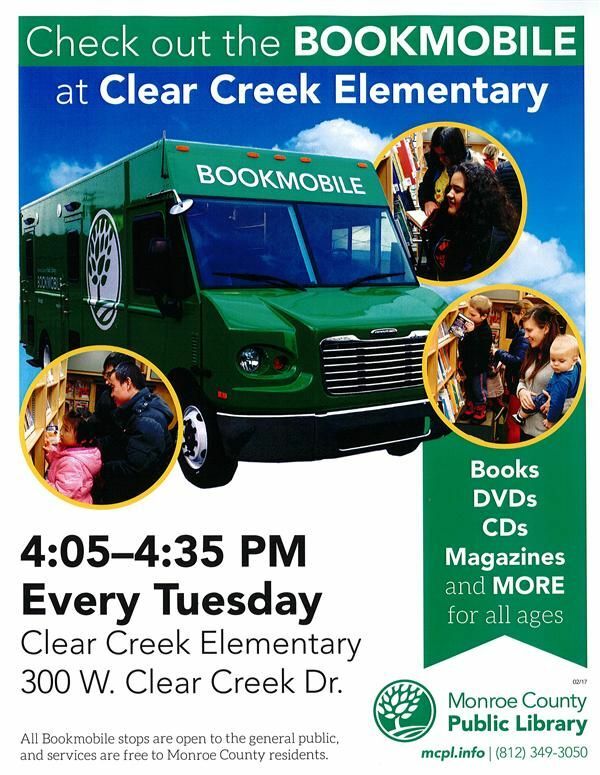 Visit the bookmobile at our school every Tuesday. Our classrooms have been learning about how to be a digital citizen in this age of technology. MCCSC now has a thank you program for families to share their appreciation of employees.